This is for one of those days when your yearly stock of pickles and chutneys is fully exhausted and all you want is a taste of fresh home made pickle. If you have shallots handy, use them. Else you can cut onions in 4 equal pieces and use the layers for the pickle. Replacing shallots / onions with carrots is also a good idea. Cut both the ends and peel the dead skin off the shallots and place them in a bowl. Heat oil and then add it to the bowl. Mix well and cover it with a lid. 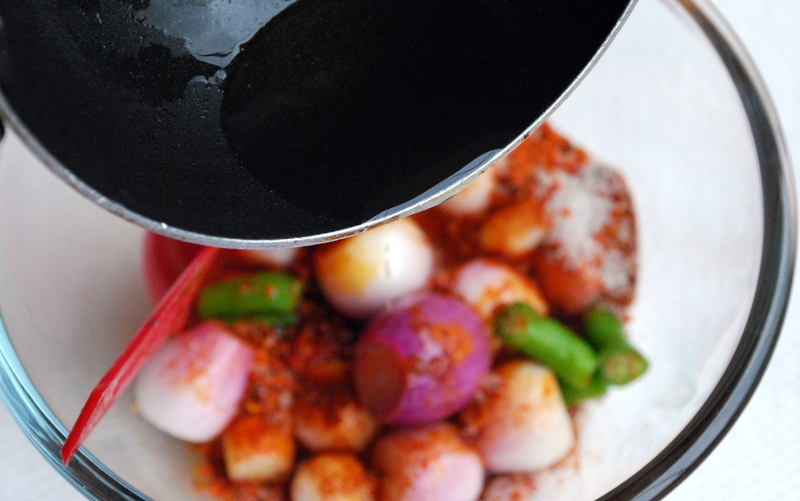 The onions will begin to water because of salt making the pickle moist and juicy. This pickle perishes very fast. So make it only when you want to consume it. It can stay good in refrigerator for about 8-10 days. Gunda (Gum Berry) is known as ‘Bhokar’ in Marathi. 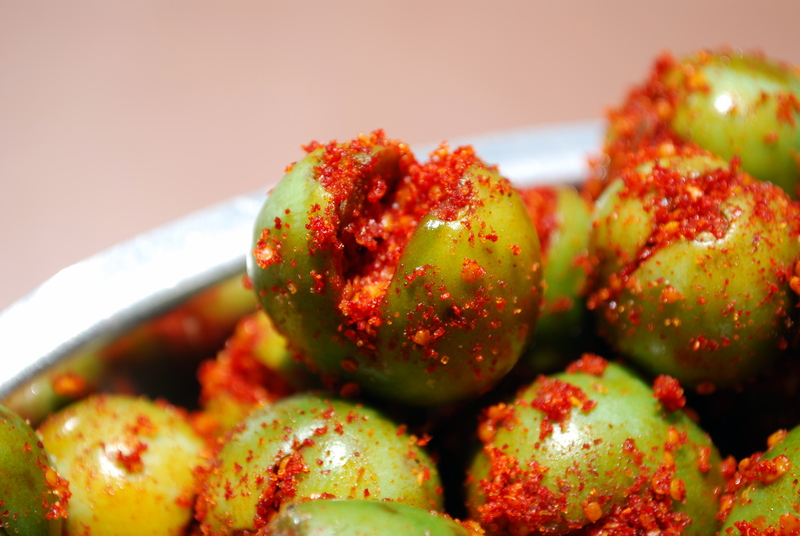 You will often find this pickle in Rajasthan, Gujarat and parts of Maharashtra. These raw fruits are available for a very limited period of 15-20 days in summer and in select cities only. 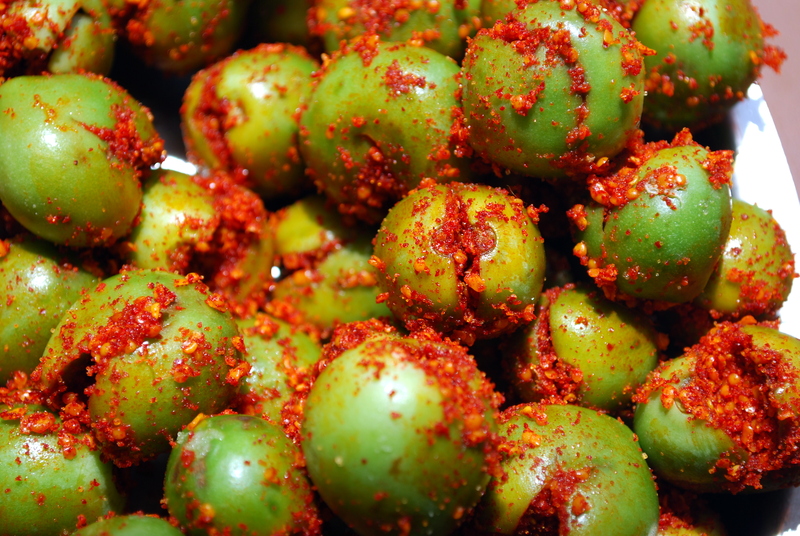 Gunda pickle is a traditional favourite of Gujarati households. The recipe passes from the one generation to the next. 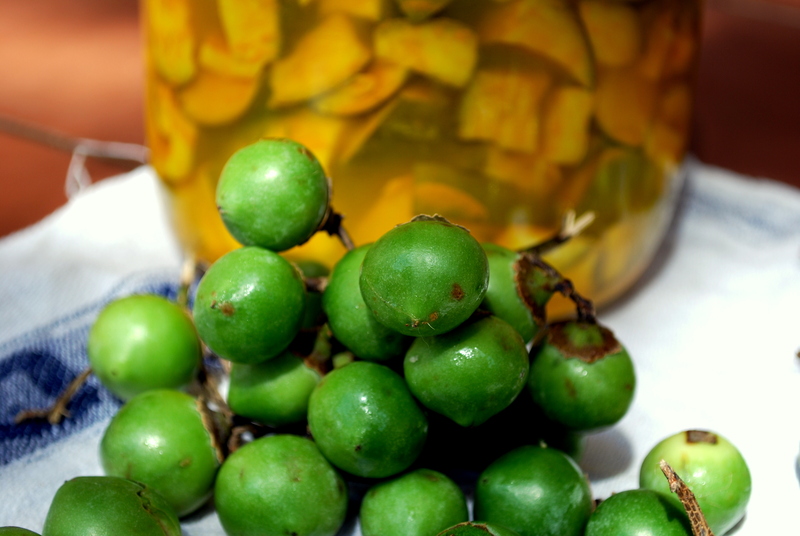 Unlike most pickles, Gunda is made of cooked Gum berry fruits. Therefore , they have a limited shelf life. The most tedious part of this recipe is deseeding the fruits. 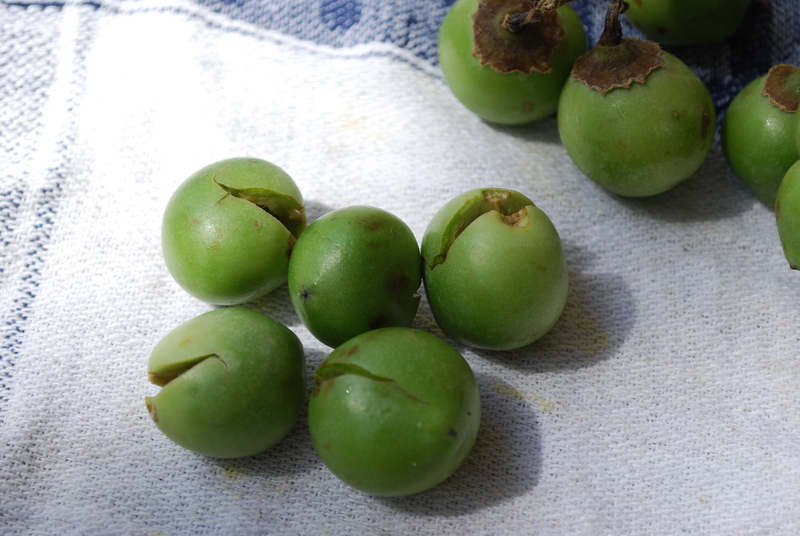 Pick green Gum berry fruits from the market. Make sure the fruits are not bruised. Wash and dry them with a cloth. Remove the stem and make a cross slit on the top. Take a chop stick, dip it in salt, stick it in the fruit through the slit and scrape the seed out of the fruit. Once the gum berry is deseeded, apply salt inside using the chop stick. 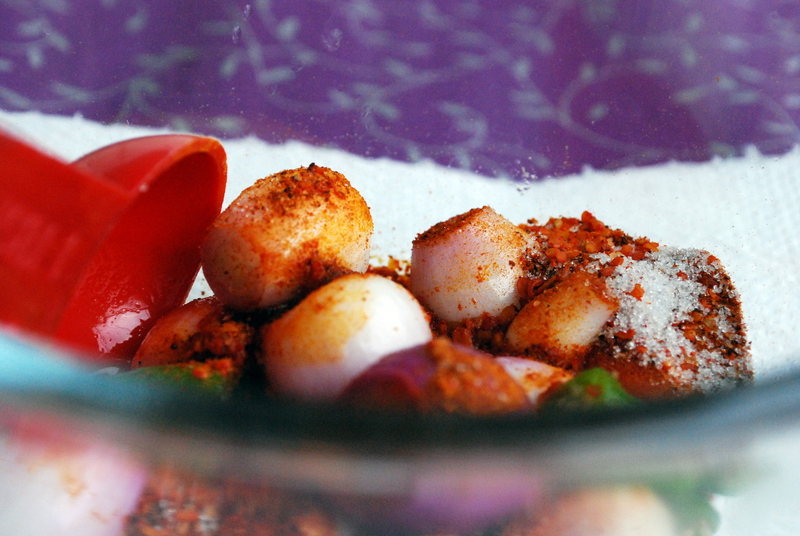 Prepare spice mix by combining together the ingredients mentioned. Add 2-3 tbsp of oil to the spice mix to get crumb like consistency. This will help spicemix stick to the fruits. Fill 3/4th of the Gum berry with the spice mix through the slit. Make sure there is no or little spice on the outer skin of fruit. Keep the remaining spice mix as is. Add stuffed Gum berries to it. Cover it with a lid and let the fruits simmer for 40-45 minutes on a very low flame. Keep checking and stirring occasionally. Once the fruits are fully cooked, let them cool naturally. Add remaining spice mix to it. Bottle it. Refrigerate and consume as needed. Remember to refrigerate else the pickle will spoil very fast. 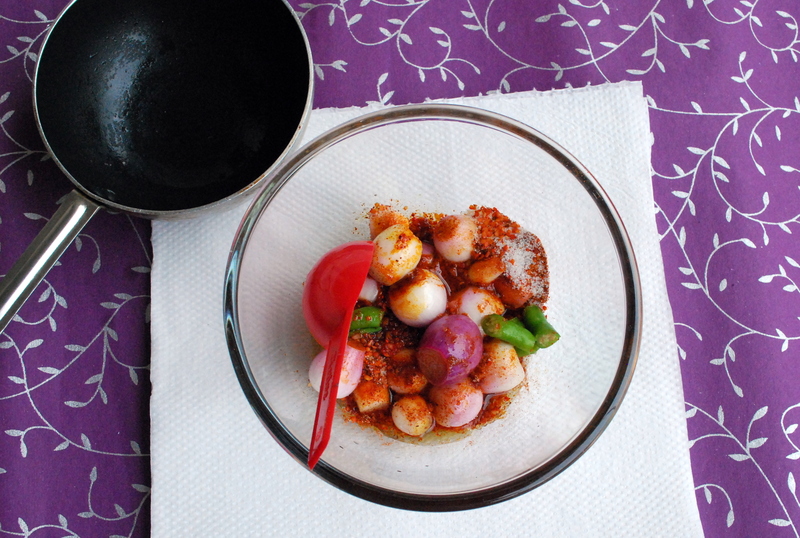 In India, pickles are not just a way to celebrate summers; it’s a celebration of food. 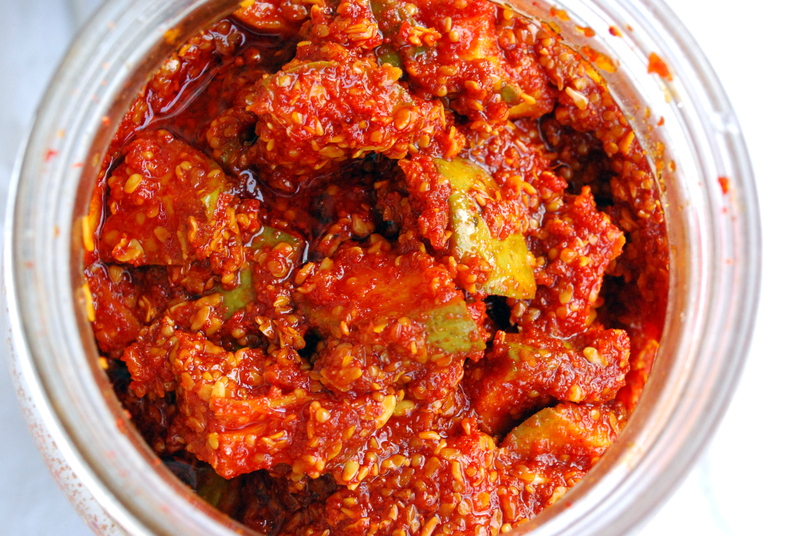 Though these condiments are supplementary to the main course, meals without pickles are incomplete and empty pickle jars in homes are frowned upon. Such is the love for pickles. 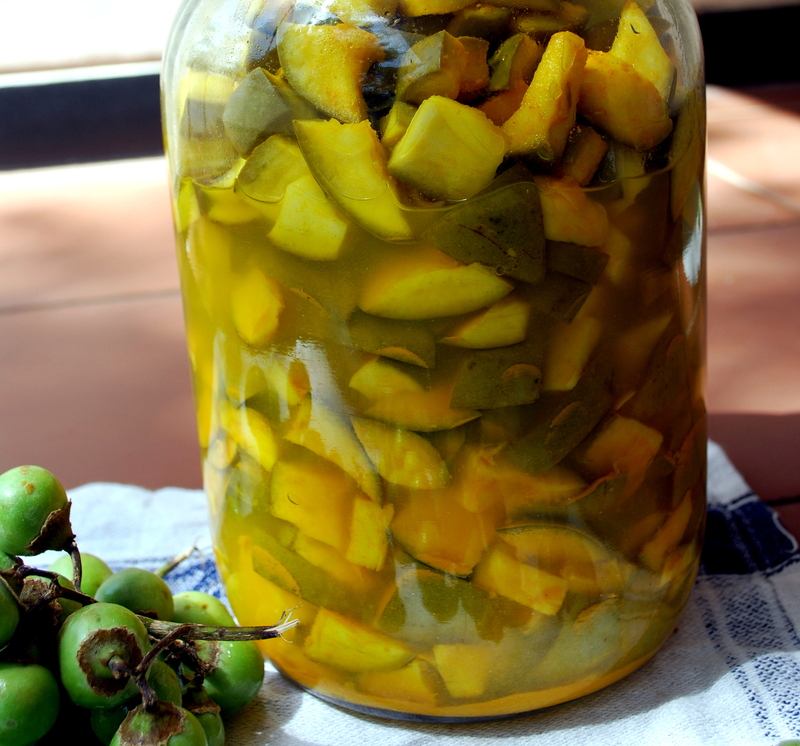 So this weekend I was home to make mango pickles. I made two variants of mango pickle ‘Regular’ and ‘Rajasthani’ along with some Gunda (Gum berry) pickle. 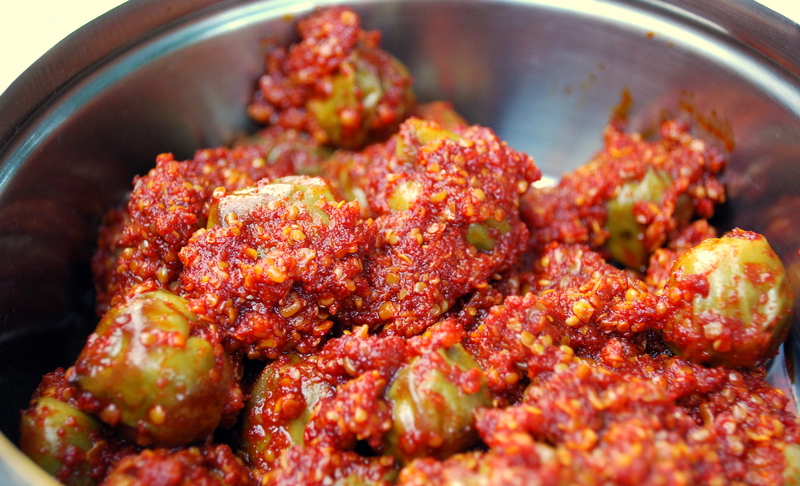 I will share the recipe for ‘Gunda Pickle’ as a separate post soon. We are going to use ‘Ladva’ variety of raw mango. If it not available around you, pick any other variety that is sour. Though I have specified quantity of salt in the recipe; taste and adjust to the tanginess of the raw mango. Add more salt for sharper tang. Use refined ground nut oil. 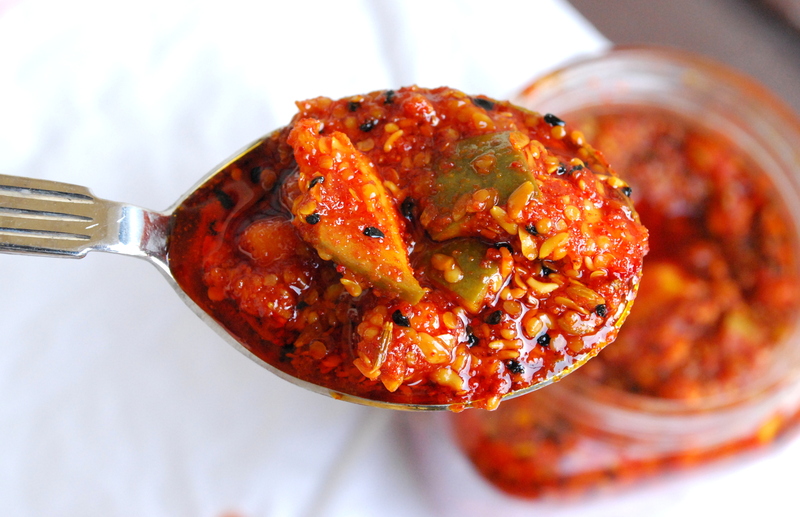 Mango pickles are made once a year and are consumed throughout the year. Other regular oils sometime develop a typical odour and pickles tend to taste bitter as the time passes. Note down the recipe for mango pickles. ** Each spice mix is for 1 kg of raw mangoes. 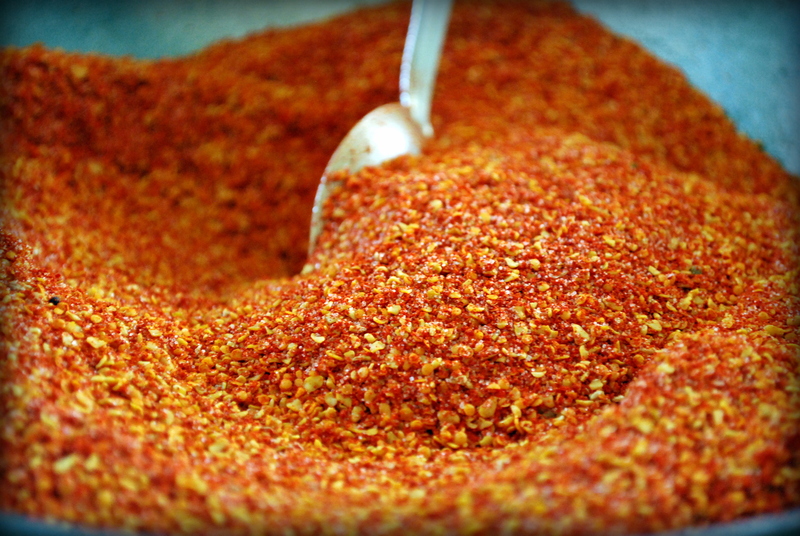 Make changes to the quantity of the spice mix to adjust to the quantity of the raw mangoes. Wash raw mangoes, dry them, deseed and cut it into small pieces. Apply 1 ½ cup of salt and 1 tbsp of turmeric powder on the raw mango pieces. Fill the pieces in a jar or bottle and keep it as is for 2 days….. Prepare the spice mix of your choice in a large bowl / plate by combining all the ingredients mentioned (either mix ‘A’ or ‘B’ or both separately in different plates). Add 3 tbsp of ground nut oil and mix it well with the spice mix. Apply the spice mix on the raw mango pieces. The next day pour ground nut oil in the jar (don’t mix) till all the pieces are soaked and submerged in oil. A layer of oil should form on the top. Start consuming after 2 days.